Now I don’t know about you but my bank balance isn’t looking too wonderful after all of the fun of Christmas. Things like rent and food have to be paid for and there’s not a lot left over for a pamper. However, the cold weather is going to town on my complexion so a little bit of TLC is needed. So what is a girl to do? I can’t justify a pricey facial but I can justify a face mask (or 6) and thankfully there are some amazing ones on the market. All of the ones featured are available to buy from John Lewis and you can Click & Collect them to your nearest CollectPlus Point ensuring you’ll never miss your delivery. There are so many different face masks that there’s something for every skin need. I prefer masks that are hydrating and leave me with a bit of a glow, so even though I’m poorer than a church mouse, I can still look like my skin has had some attention. 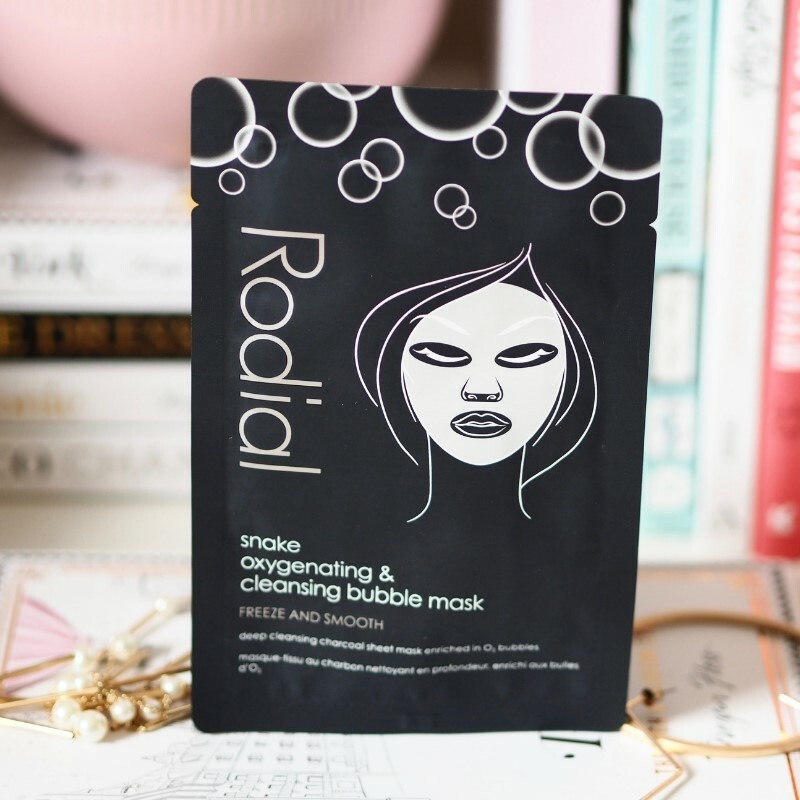 The Rodial Snake Oxygenating & Cleansing Bubble Mask(£48.00 for 8 at John Lewis), is a little bit of fun. Some bubble masks can be a bit disappointing but not this one. It certainly bubbles! At this time of year, everyone is ‘detoxing’ and this is a detoxifying mask that produces bubbles of oxygen. These bubbles lift away the dead skin cells, excess oil and dirt that can build up on the face. Purifying bamboo charcoal then unclogs your pores as well as deeply cleansing them. Together with Vitamins A and E, ceramide, collagen and peptides, the skin is left looking and feeling fresher, smoother, brighter and younger. It also looks plumped and moisturised thanks to Hyaluronic Acid, and your lines and wrinkles are less noticeable. If you’re anything like me, the central heating is your best friend and your skin is suffering. 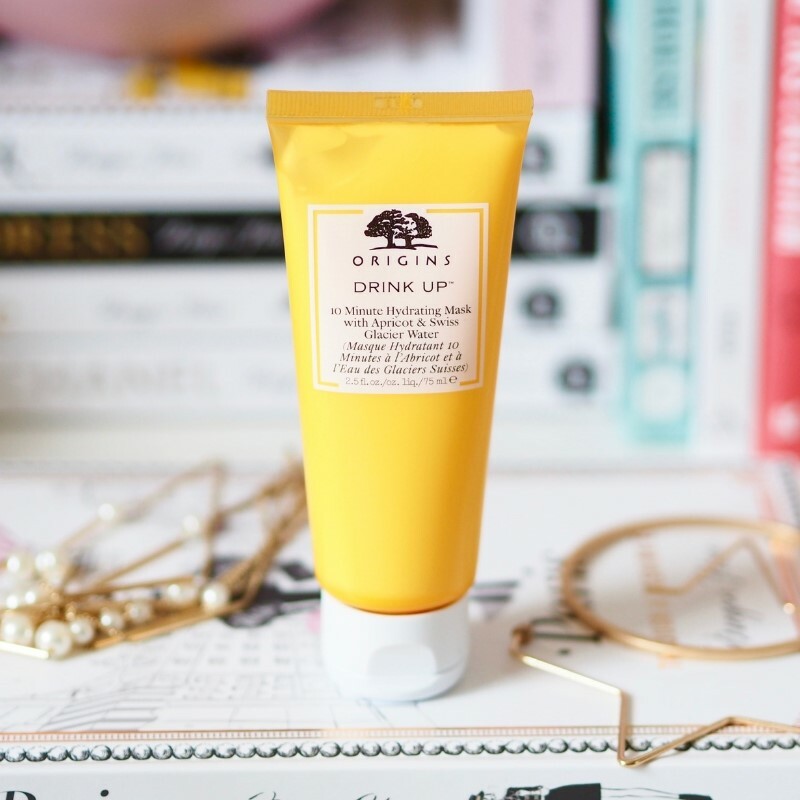 The Origins Drink Up 10 Minute Hydrating Mask(£20.00 at John Lewis) is here to save you. It is ideal for dry and normal skin and boosts the moisture levels of the skin to keep it hydrated and conditioned for up to 24 hours. You only have to keep it on for 10 minutes so it is perfect if you’re a bit pushed for time. The mask contains Swiss Glacier Water, Apricot, Algae Extracts and Hyaluronic Acid and it works to add hydration to areas that are dry. It’s basically one hell of a drink for thirsty skin and it helps to seal in any surface moisture. Your complexion will feel soft, smooth, healthy and super hydrated. Ever since I started using face masks back at the age of 12, I have loved a mud mask. 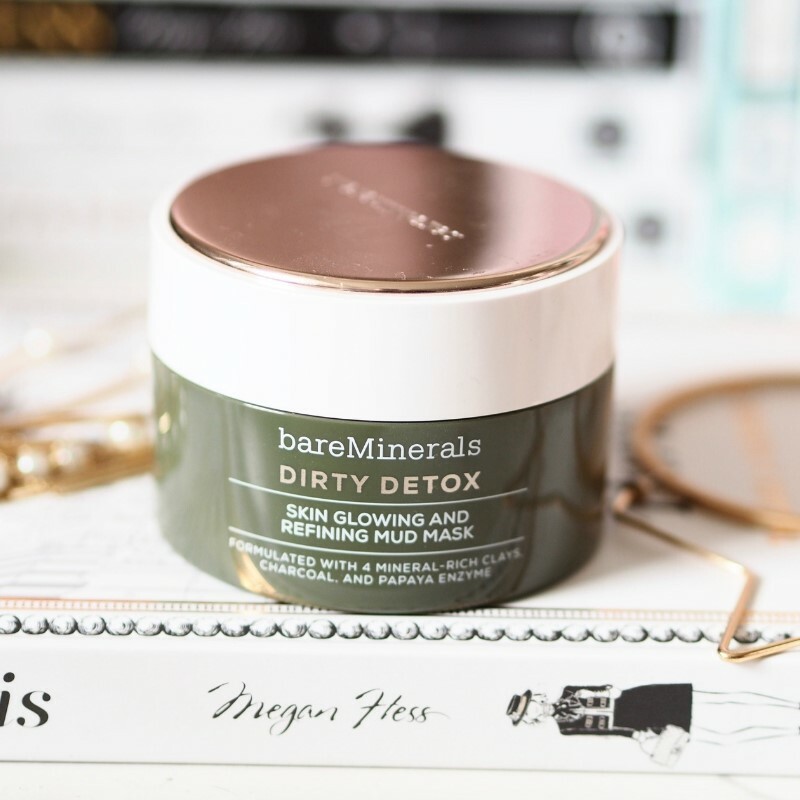 These days, I’ve moved on from strawberry smelling goopy mud masks and now I love the bareMinerals Dirty Detox Skin Glowing & Refining Mud Mask(£32.00 at John Lewis). This really is a detox for your face. It is a super-purifying mud that contains 4 mineral-rich Clays, Charcoal and Papaya Enzyme to leave your complexion with a gorgeous healthy glow. I love how this feels on the skin and doesn’t have that tight, drying feeling that some mud masks can have. The blend of cays and charcoal leaves my skin feeling so soft and looking clearer. This is the mask that I go to when I am having a breakout or when blackheads start to appear as it clears them up quickly. 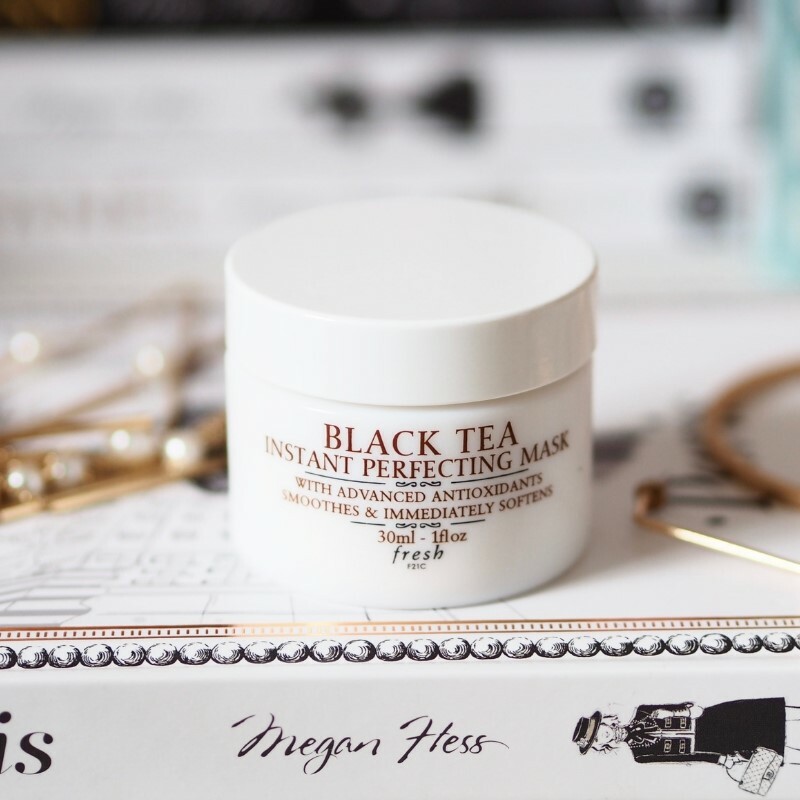 I’m a newcomer to Fresh but their Black Tea Instant Perfecting Mask(£29.00 for 30ml at John Lewis) is an instant winner with me. Again this is a hydrating mask and it contains advanced antioxidants to leave your complexion looking firmer, softer and healthier. I could happily use this 3 times a week as it is that good and I love the whipped texture of it and how cooling it feels as soon as you put it on your skin. The main key ingredient is Black Tea Ferment which helps to defend the skin against free-radicals (a cause of those dreaded wrinkles), as well as brightening, smoothing and softening the skin. After using this, your skin feels more supple thanks to Lychee Seed Extract and Jicama Root Juice leaves the skin nourished and hydrated. This is a must try! 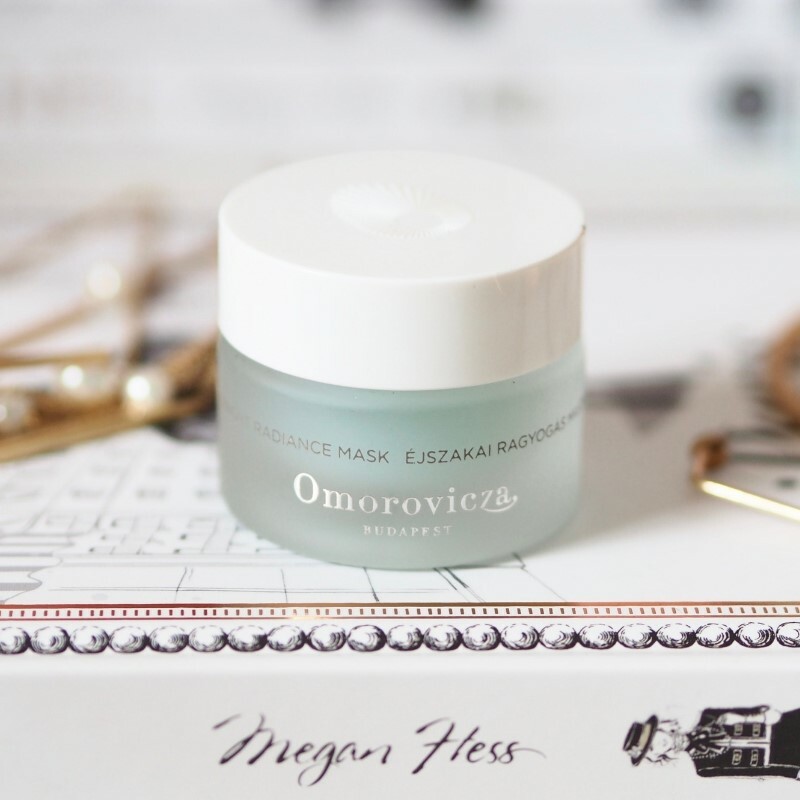 If you’ve never tried Omorovicza, then their Midnight Radiance Mask(£90.00 for 50ml at John Lewis), is a good place to start. I really need to by the full size of this because I adore it. Yes it is eye-waveringly expensive, but it is so good. So far I have used up 3 small pots of this as I am obsessed. 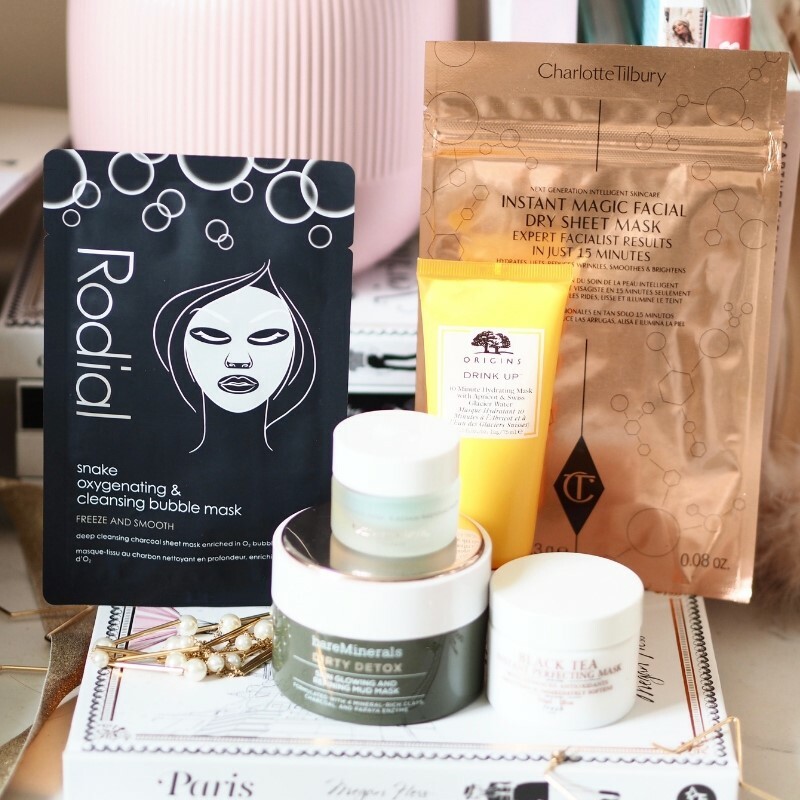 The mask contains Sand Lily Extract and Salicylic Acid and it is my bedtime favourite. The mask has a blue gel consistency that feels wonderfully cooling on the skin and I pop it on before I go to bed knowing that I’ll wake up with a radiant complexion. It helps to reduce the appearance of discolouration and dark spots, as well as regulating the production of sebum. You’ll also notice how moisturised your skin will feel thanks to Red Alga and Sodium Hyaluronate which work together to lock in moisture. I always notice that my skin feels firmer, hydrated and looks so much healthier whenever I use this. 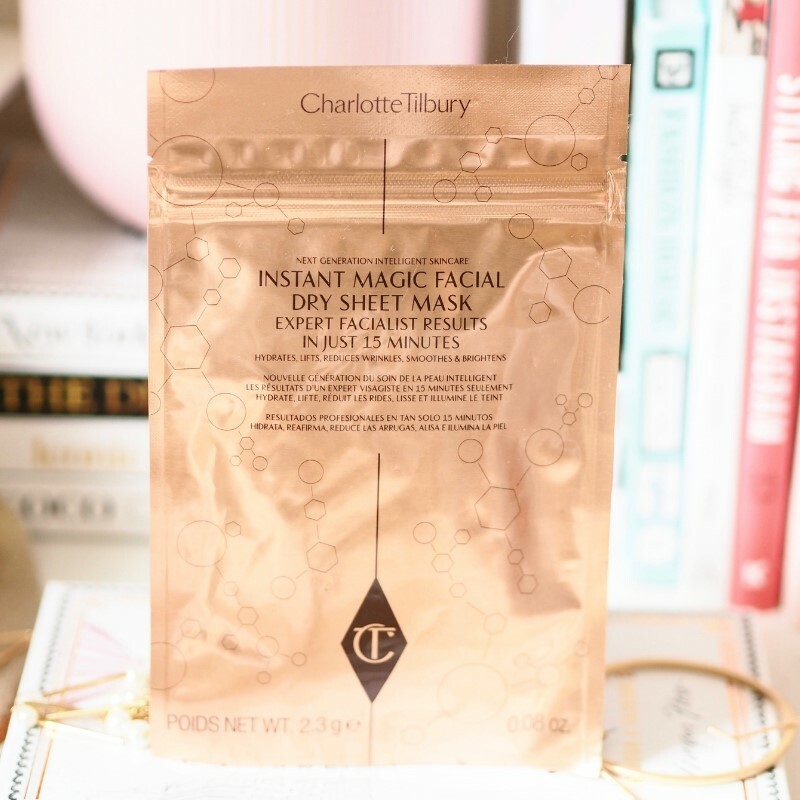 Finally I had to include the Charlotte Tilbury Instant Magic Facial Dry Sheet Mask(£18.00 at John Lewis). This is the sheet mask that will change everything you ever thought you knew about sheet masks. There’s not mess or sloppy gunk as it is totally dry. This shouldn’t work, but it really does and your skin will love you for it. The fabric of the mask is impregnated with vitamins, oils, butters, floral extracts and peptides, all of which are delivered directly to the skin – going down to the third layer of the epidermis. The active ingredients have a prolonged release thanks to the bio-mimetic system, meaning they continue to immerse into the skin even after you’ve removed the mask. Your complexion is left feeling more hydrated and brighter, wrinkles are reduced and the skin appears lifted. So don’t let the winter blues or the state of your bank balance leave you with a dull complexion. You can still give your skin quick and easy treatments al thanks to a face mask and the best bit is that you don’t have to leave the house. You can watch Bird Box, eat chocolate and pamper your skin all from the comfort of your own home. Perfection!